There are plenty of amazing looking projects on the horizon for the downtown Denver business district. Recently the Four Seasons Hotel completed construction of a new complex that became the fourth tallest building the join the Denver skyline. This wasn’t just a hotel but also residential units along with restaurants and shops. Not to be outdone, the proposed Tabor Center Tower Two will become one of the largest office towers developed in Denver since 1985. It will rise to a height of 630 feet and have 830,000 square feet of usable space. At any given time, it feels like there is a lot of construction work happening in downtown Denver but that’s not the only work zone. You could be taking on your own construction project whether that’s a kitchen remodel, bathroom addition or converting your garage into a home office. No matter what you plan on digging into, one thing is a guarantee: you’ll be creating a lot of construction waste. Actually, your work crew will be creating that waste unless your construction project is DIY. Either way, you’ll want to make sure you’re getting rid of your construction waste the right way and that’s with hiring a special crew of junk haulers like Junk King Denver to handle the task. Waste removal is often the last thing you might think about when it comes to a remodeling job but it could end up becoming the number one hindrance to the project. If your work crew is spending the start of every day cleaning up the trash from the day before they’re not going to be making the most of their time. By hiring a designated waste removal company, you’ll be guaranteed that your waste can be carted off at the end of any day or whenever it would be appropriate to your project. 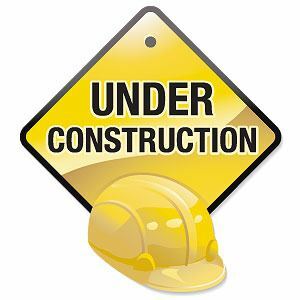 When you know your construction waste is being handled by Junk King then your construction crew can focus 100% on the job at hand and that’s a much better way to spend your money. Your disposal team could also help you clear out even more clutter. While the work crew is busy in the house, you could take some time out in the garage or down in the basement gathering up all the junk you’ve been hanging onto for years. This is all the stuff that has outlived its useful purpose in your life. The moment you’ve picked out the items for removal you’ll be able to direct your disposal crew towards that junk. They’ll take it from there. As long as you’re refurbishing one area of your home, why not refurbish the rest of the house with a complete junk removal project? This entry was posted in Denver Construction Debris, Denver Junk Hauling, Denver Junk Removal, Junk King Denver and tagged Denver Construction Waste Removal, Denver Junk Removal, Denver Waste Disposal on May 30, 2012 by Paul Durant. Last updated August 1, 2017 . There is good news to be found in a recent report out of the Colorado real estate market. According to the Colorado Division of Housing the number of foreclosure filings were down by 1% for the first four months of 2012. That translates to foreclosures falling from 8,476 at this time last year to 8,395. Foreclosure auction sales were also down by a whopping 29% during the same time. Clearly this is an indication that the Colorado real estate market is on the mend but that doesn’t mean it is out of the woods yet. There are still plenty of signs around the Denver area that show foreclosures are still prevalent. One way to truly turn around the foreclosure market is for savvy investors to make smart choice and buy up foreclosed properties. The reason to investigate foreclosed properties is that you’ll be able to make a quick sale that is more of a benefit for the buyer and seller. By the time a property has officially become foreclosed upon it is now the responsibility of the bank or lending company to get rid of it and a want to get rid of it fast! That means you can make a pretty decent offer on a home you might not necessarily have been able to afford several years ago. 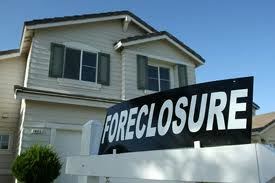 There are those who are investing in foreclosed homes strictly as rental properties. This can create a very positive revenue stream as more and more people are looking for rental properties. One thing that shouldn’t dissuade you from deciding on a foreclosed property is the condition you find that home in. Too often a foreclosed home has become neglected because it was abandoned by the previous occupants. A lending company isn’t going to have the time or the wherewithal to take care of the gardening or clean up the trash from inside a home. That’s where the services of a professional team of junk haulers like Junk King Denver can be of a huge benefit. If you can look beyond garbage as to the true value of the home then all will take is a phone call to those junk haulers to help get that home back in shape. If you close the deal on the property and want to get it back on the market quickly either as a rental or as a potential sale then you wanted to clean the place up as quickly as possible. The professional junk haulers at Junk King might not need more than a few hours to sweep through a home and toss everything out. Cleaning up a foreclosed home is actually easier than cleaning up your own home. That’s because in a foreclosed home literally anything that isn’t nailed down can be thrown away. As soon as that has been accomplished you can bring in your crew of painters and other handyman to make any needed repair. It’s conceivable with all this help that the foreclosed home can be turned around inside of a week and be ready to put back on the market. That’s a smart investment! This entry was posted in Denver foreclosures, Denver Furniture Disposal, Denver Junk Hauling, Junk King Denver and tagged Denver Foreclosure Clean Out, Denver foreclosures, Denver Junk Removal, Denver Real Estate, Junk King Denver on May 17, 2012 by Paul Durant. Last updated August 1, 2017 .